I enjoyed this challenge being that we can always use another bookmark (or two) in our house of avid readers. A win win experience! 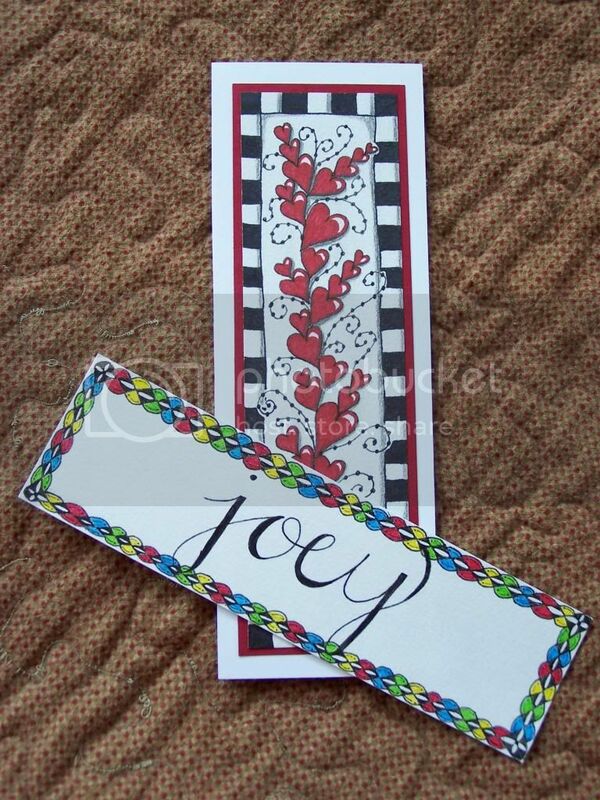 The tangle I used for this bookmark is Luv-a and I have now added it to my personal faves. 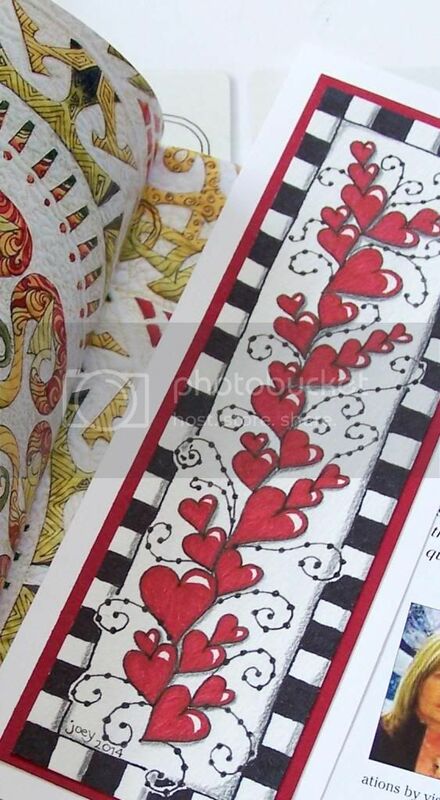 I drew the bookmark on watercolour paper, coloured it with a Staedtler Lumocolor to get a deep, rich shade of red, mounted it on to dark red card stock, and finally on to a piece of glossy white photo paper. 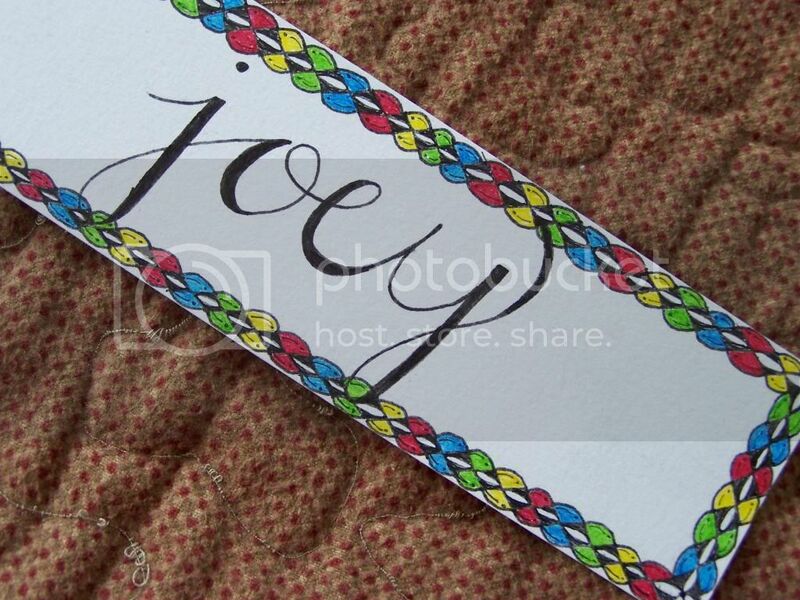 Another one of my favourite tangles is around the border of this bookmark. It's a version of Japonica coloured with Staedtler triplus fineliners. I was recently inspired by a post on Fake Calligraphy so I figured this was a great project to try it out. It's super fun and I'll be experimenting with it further. Lettering has always intrigued me long before the days of computer generated fonts. 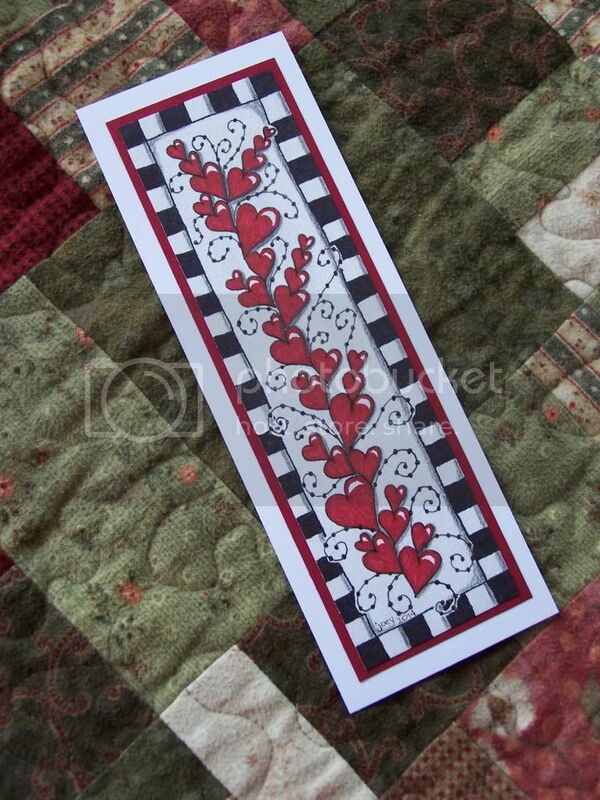 Join in the fun and tangle a bookmark with us! You will find the challenge here. 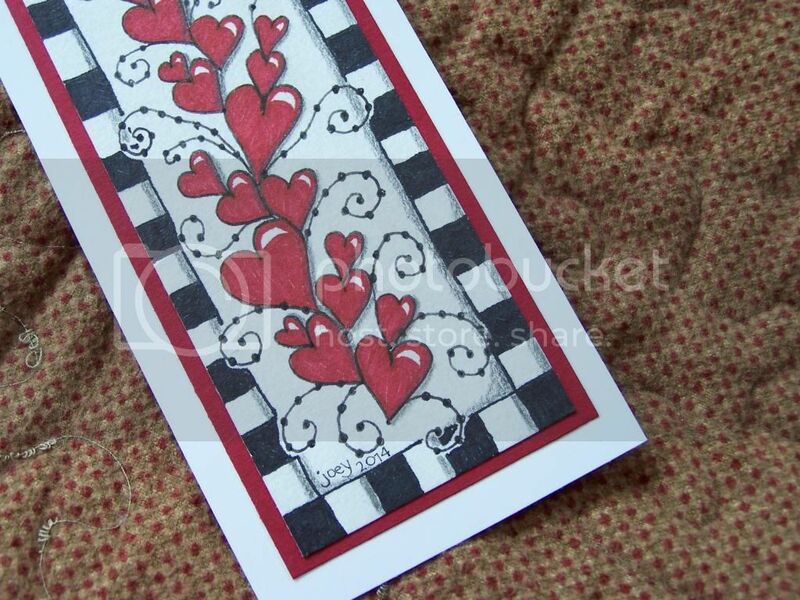 Hello, I found your blog by Zentangle ® found. I think it's great what you do. I want to make with very much in the challenge, but I translate everything with google. I hope I have understood everything. Ich bin mit dem Google-Übersetzer auch. Ich hoffe, die Fotos helfen Ihnen, die Herausforderungen zu verstehen. Ich freue mich jede Woche sehen, Ihre Kunst! Ich hoffe, das macht Sinn für Sie.